It’s that time of year when our students find out whether they’ve passed the 11+ and it’s naturally a very nerve-wrecking time for them. admissions process. For instance, one mum insisted that she would only apply for just one school. The school just so happened to be one of the most competitive schools in the UK and is exceptionally selective. I suggested that she consider other options but the mum was adamant that she only needed to apply for that particular school. Although I respect her decision, I do believe that it’s important to consider multiple schools. When it comes to the 11+ (or any school entrance exam) it’s best not to put all your eggs in one basket. I always advise clients to apply for a variety of schools as it gives their child not just a higher chance of acceptance but more choice. Choice is a beautiful thing because it enables you and your child to pick the school that is most likely to be the best fit for them. In contrast, if you only apply for one school, your child has a lower chance of being accepted and if accepted, they might soon discover that they don’t like the school. This results in limited options and potential unhappiness. Applying for several schools is a smart tactic and I recommend sharp thinking when it comes to the 11+ and 13+ application process. I’ll be sharing some more tactic tips over the next few blog posts but I hope this has encouraged you to think in a more strategic way. Here’s to your child success! A reading nook, what’s that? Thats exactly what I asked myself when I first saw the phrase splattered over several mum blogs. Nonetheless, I soon found myself entranced by an array of books, posters, paintings and bean bags, all of which brought back beautiful memories of childhood. There’s something about reading that is so magical and transformative, especially for children and it’s those memories of reading a beloved book that stay with a child for a lifetime. and bustle of school and delve into any book of their choosing. The reason why it’s so beneficial to have one is because it enables your child to allocate time and space to reading; it separates reading time and helps them to prioritise it. Furthermore, your child can read to themselves, with a sibling or you can join in and read with them. 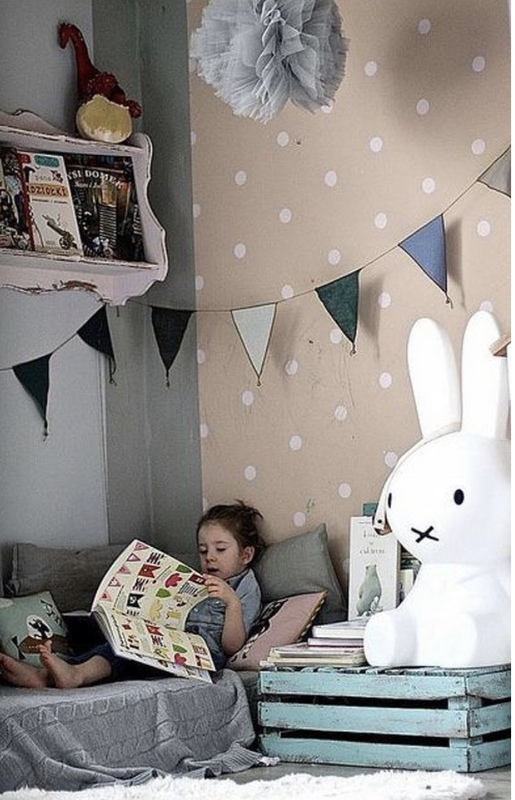 Plus, reading nooks/corners are pretty and inspiring which means that children naturally gravitate towards them. They make reading fun. And by the way, it doesn’t need to cost a fortune to make one. I recently used a windowsill as a reading corner space in my house and it looks beautiful. I literally can’t stop staring at it. Here are some of our favourites for your inspiration. 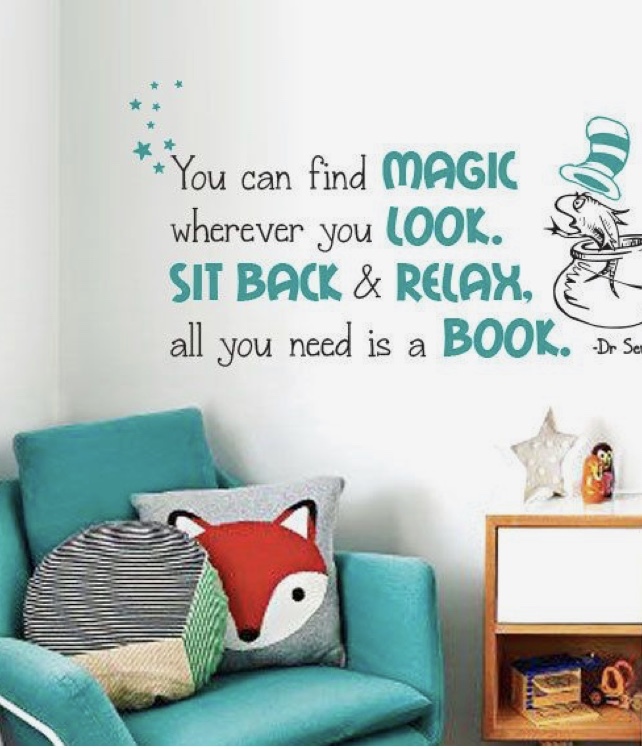 A reading corner with a beautiful decal quote. A beautiful pink reading corner. A window-based reading corner that’s bright and colourful. A collage of some of our favourite reading books. 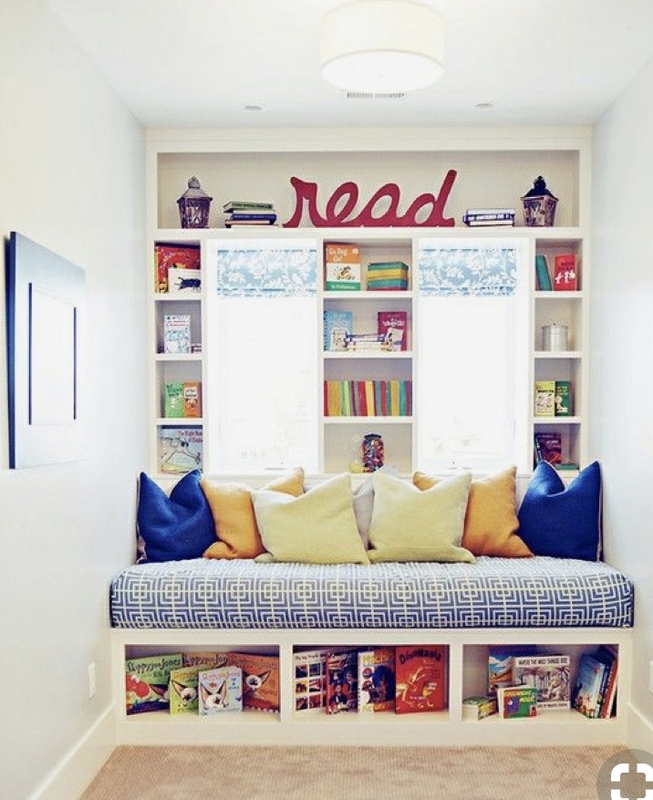 This week, think of some ways in which you can create a reading corner in your home. It’s the perfect excuse for a trip to IKEA 🙂. The ISEB Pre-Test is aimed at providing a platform through which independent senior schools can gather information and measure a pupil's academic potential. The test therefore aims to identify the potential of a student rather than focusing solely on their academic ability. The ISEB can be challenging for new parents to understand, however, this article will guide you through some of the main facts concerning it. • It’s usually taken by pupils in Year 6 who are ages 10-11. • It provides a measure of ability and potential. • It tests English, Maths, Verbal, and Non-Verbal Reasoning. • It takes about 2.5 hours to complete. • The text is taken online and is not paper-based. • The questions are adaptive (correctly answered questions will lead to harder questions). • The Maths and English tests are based on the National Curriculum. • The tests are multiple-choice style. • The tests are used by competitive independent schools to select which pupils could potentially be a good fit for their school. • Candidates can only take a test once per academic year. • The test can be taken at a child’s current prep school. Why should your child sit the Pre-Test? Sitting the Pre-Test helps to measure pupil's learning over a given period. It provides independent schools with evidence that pupils have satisfactory proficiency at KS2 level and have the potential to excel in KS3 and KS4 exams. Furthermore, it gives teachers the opportunity and ability to establish, one or two years in advance, the academic potential of the pupil transferring to their school. Ultimately, schools need to know if pupils meet their academic standards. If a child passes the Pre-Test, they are usually offered admission, although they are still required to pass the Common Entrance exam at 13+. Each school has the power to decide on how they use a child's Common Pre-Test results. Competitive and popular secondary schools often use the Pre-Test to shortlist pupils. Which Schools require the ISEB Common Pre-Tests? The ISEB Common Pre-Test is of the most popular pre-tests available. There are three primary forms of Pre-Tests; ISEB, UKiset and CEM. Can You Prepare for the ISEB Common Pre-Test? Although most schools claim that tutoring isn’t necessary, we’ve observed that early preparation can be tremendously beneficial in helping students to improve their scores and increase their familiarity with the exam format and question types. We therefore recommend that students practise the GL Assessment papers and also complete online tests. The ISEB Common Pre-Test consists of four individual tests which can be taken together or at different times and in any order. However, candidates must complete each particular test in one sitting. • English – assesses spelling, punctuation, comprehension, and sentence completion. • Maths – assesses mathematical ability based on the national curriculum stage. • Verbal Reasoning – assesses thinking and problem-solving skills. • Non-Verbal Reasoning – analyses thinking with shapes, space and diagrams. Each test has a time limit allotted to it. For every question, candidates must select an answer from five given choices and then press ‘next' to submit. Once an answer is submitted and the ‘next' button pressed, it is impossible to return to a question. The timing for each test excludes the time required for login and test set-up. However, it includes the time needed for candidates to read the on-screen instructions, as well the time allotted for reading the comprehension passage. Each test begins with a set of instructions and candidates can view their progress on the progress bar at the bottom of the screen. The progress bar indicates how many questions are remaining and the timer at the top of the screen indicates the time remaining. The test is administered in a formal test environment. Thus, candidates are expected to maintain normal behaviour and follow the constraints of a test environment by working in silence. Teachers are not allowed to render any help with answering test questions. • Familiarise your child with computer based tests such as 11+ Hero. • Encourage your child to answer questions under strict timed conditions. • Early preparation gives your child ample time to improve their confidence and master excellent exam technique. It’s never a good idea to leave preparation to the last minute as it will simply cause more stress for you and your child. Now it’s over to you, leave a comment below sharing one thing you’ll do to help your child prepare for their ISEB exam.